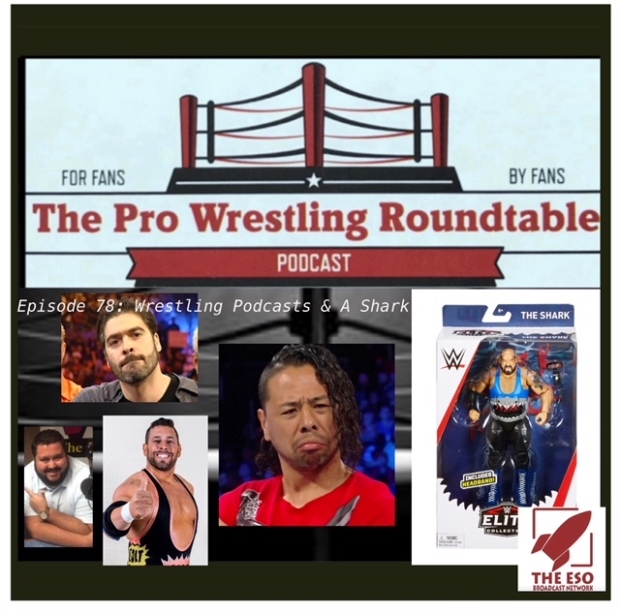 It’s a wrestling podcast about wrestling podcasts, well mostly. John Morgan Neal is joined by the Indy Darling Richard Ewell to talk about their favorite subject, wrestling. They talk SDCC Mattel things including Retro Shawn Michaels, Chris Jericho, Sheamus, and late 90s Kurt Angle. Since Toys R Us went under where can you buy the Mattel Elite Shark figure. Then they talk about their favortie wrestling podcasts. Also, you will find out the true story about how we almost got THE Conrad Thompson on the show until we didn’t and it never happened.